3. When we confirm the payment, we will start to prepare the samples ASAP. Q: What is your sample's policy and delivery time9 A: 1pc stock sample is free of charge with freight collect. 1pc customized sample is charged also with freight collect. 1 YRS Yiwu Jinghao Stationery Co., Ltd.
Q2. Can I have a sample order for cuff link9 A: Yes, we welcome sample order to test and check quality. Q6. How to proceed an order for cuff link9 A: Firstly let us know your requirements. Please inform us formally before our production and confirm the design firstly based on our sample. If your target market is EU, we can offer EN71 and PHTHALATS test reports of roller pens. If your target market is US,we can offer ASTMD-4236 and PHTHALATES reports of roller pens. If it's mass production,we'd like to replace the defect roller pens . 2 YRS Shanghai Lingmo Stationery Manufacturing Co., Ltd. Custom High Quality Personalized black Metal Roller Ballpoint Pen Manufacturer &gt;&gt; Product detail Our service 1) Conforms CE,EN71-1,-2,-3.-9 and ASTM standards 2) Made of non-toxic and odor free materials 3) High quality,competitive price,mini quantity accept 4) A ny design and color are available 5) various types of package available Product Name Custom High Quality Personalized black Metal Roller Ballpoint Pen Manufacturer Material metal Size 14cm Color color available Logo print customized logo design Sample time 5-7days Production time 20-25days Used office , school , promotion GIFT &gt;&gt; Product show &gt;&gt; Recommended Good quality;Excellent design;Competitive price;Considerate service. OEM Is Welcomed! 1 YRS Yiwu Modern Trading Co., Ltd.
Q: Can your products be customized9 A: Sure, we offer OEM service, and the products would be produced as your request. 3). Q: What kind of packing you can provide 9 A: Normaly we provide opp bag with single pcs,we also accept customized packing. 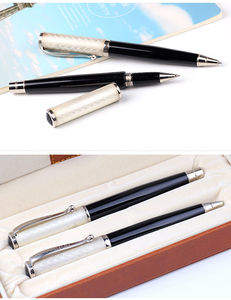 6)Q:Are you factory or trading company 9 A:We are factory which specialized in producing pens. 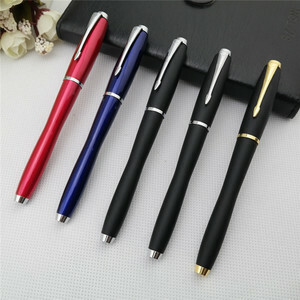 Alibaba.com offers 11,416 metal roller pen products. About 69% of these are ballpoint pens, 11% are multi function pen, and 7% are roller pens. 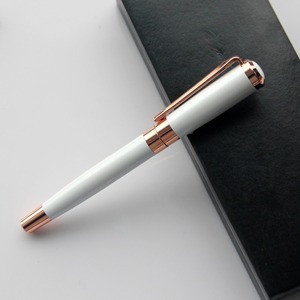 A wide variety of metal roller pen options are available to you, such as metal, bamboo, and plastic. 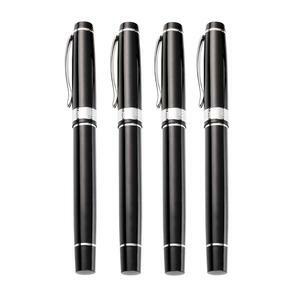 You can also choose from office & school pen, promotional pen, and business gift. As well as from yes, no. 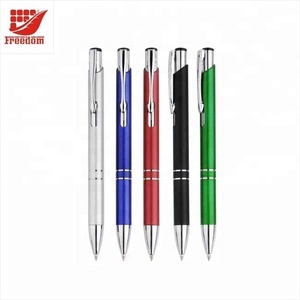 And whether metal roller pen is logo pen, banner pen, or multi-functional pen. 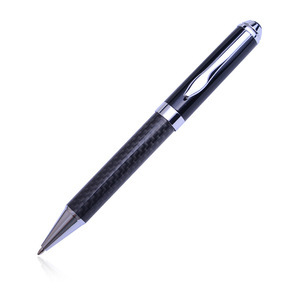 There are 11,416 metal roller pen suppliers, mainly located in Asia. 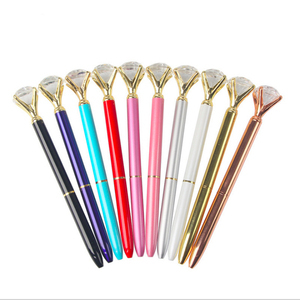 The top supplying country is China (Mainland), which supply 100% of metal roller pen respectively. Metal roller pen products are most popular in North America, Western Europe, and South America. You can ensure product safety by selecting from certified suppliers, including 1,024 with Other, 708 with ISO9001, and 487 with BSCI certification.